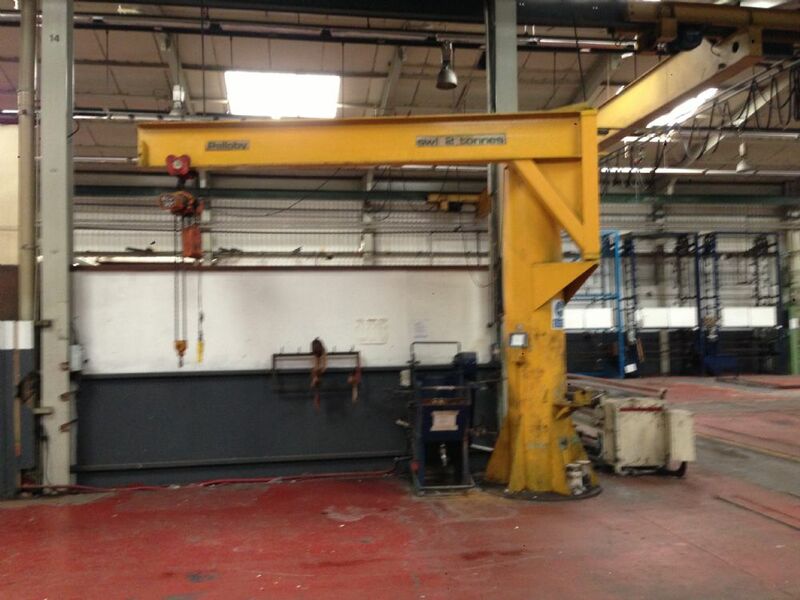 Here at Chesterfield Crane Company we are a market leading supplier of Jib Cranes. 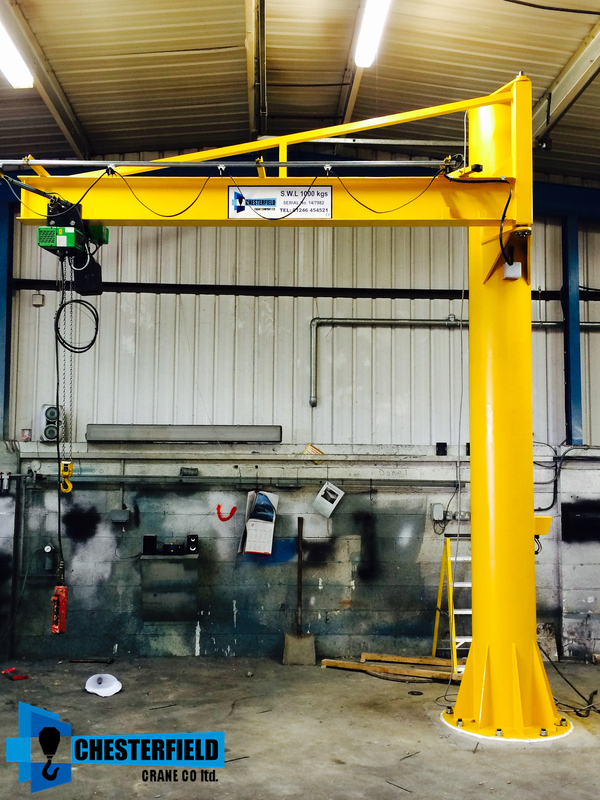 Our range of brand new manufactured and reconditioned used jib cranes has always been associated with high quality construction and superior levels of workplace safety. 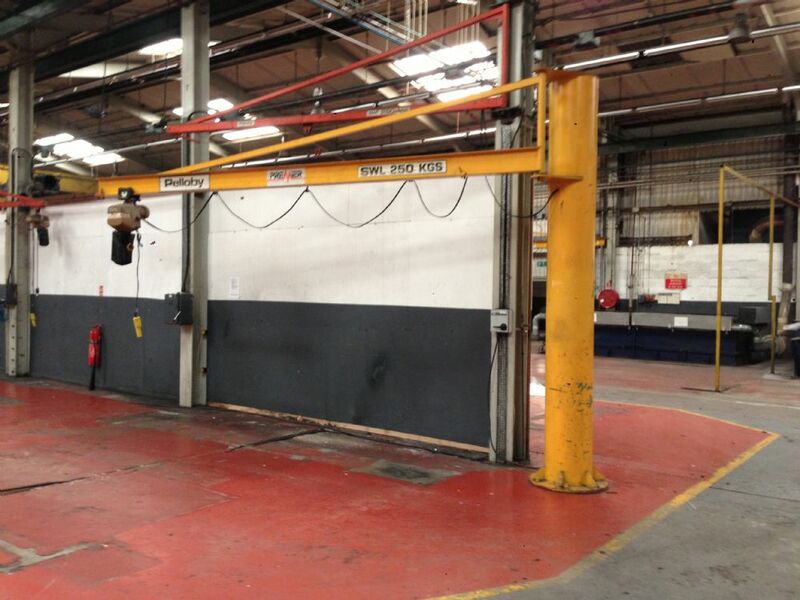 The concept of a jib crane, also known as slewing workstation crane, is to be able to offer maximum flexibility in tight spaces, especially workshops with low ceilings, enabling lifting capabilities on the shop floor without needing to install large scale building gantry steelworks and overhead cranes. What is a Chesterfield Crane Company Jib Crane capable of? 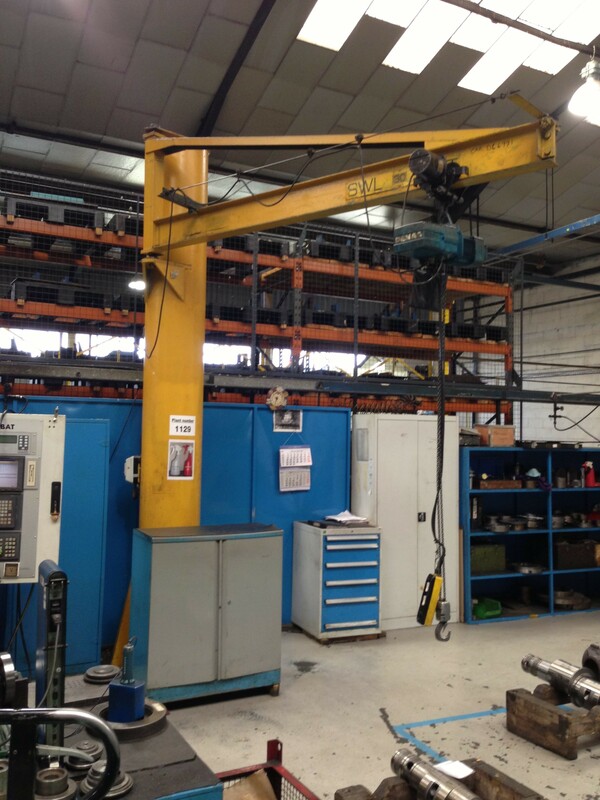 Turnkey Specifications: We regularly build custom jib cranes with bespoke features depending upon what our customer requires, and any size and type of slewing crane can be manufactured. 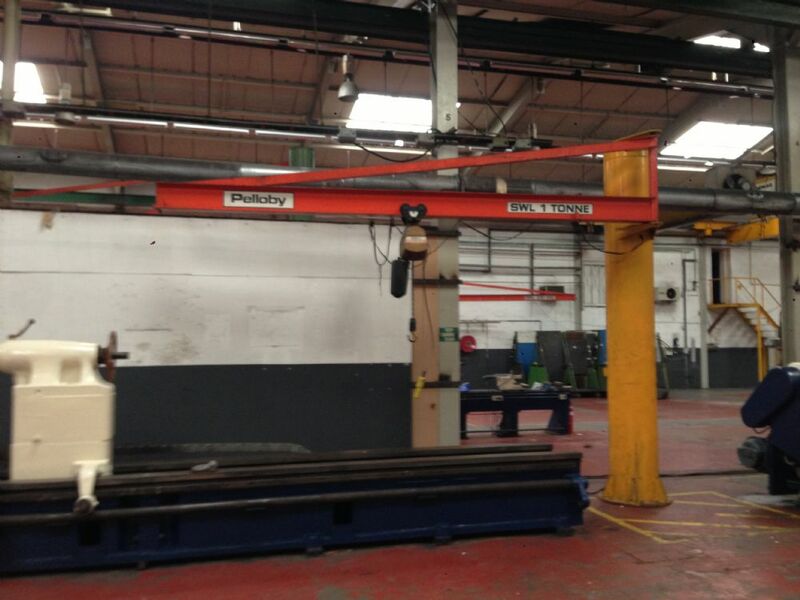 We currently have 43 used jib crane columns and jib arms in stock varying in size from 500kg to 5000kg (last stock check: 17-01-17) that are ready to be reconditioned. As part of our refurbishing package we include brand new bearings, heavy duty steel reinforcements and high-visibility paint (colour of your choice) to ensure safe working practices and crane longevity. Get in contact with us ? 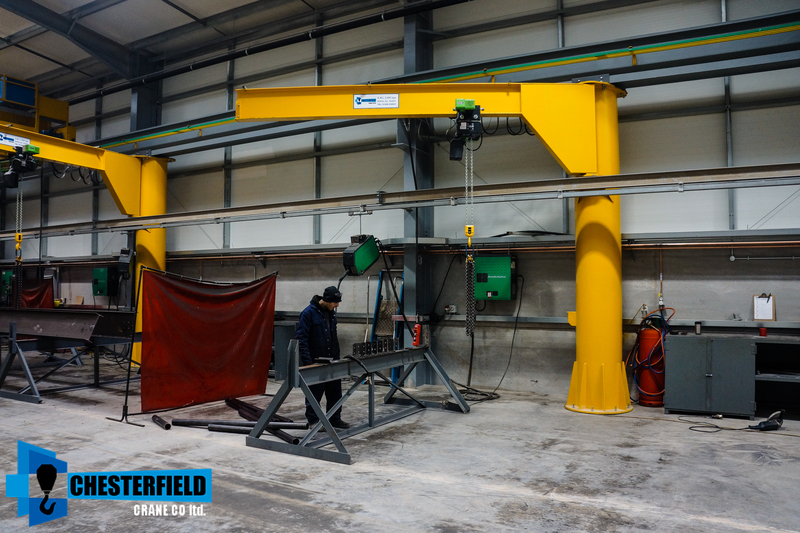 Please get in contact via phone: 01246 454521 or email: sales@chesterfieldcrane.co.uk to learn more about our range of jib cranes and to see how we may be able to assist you. 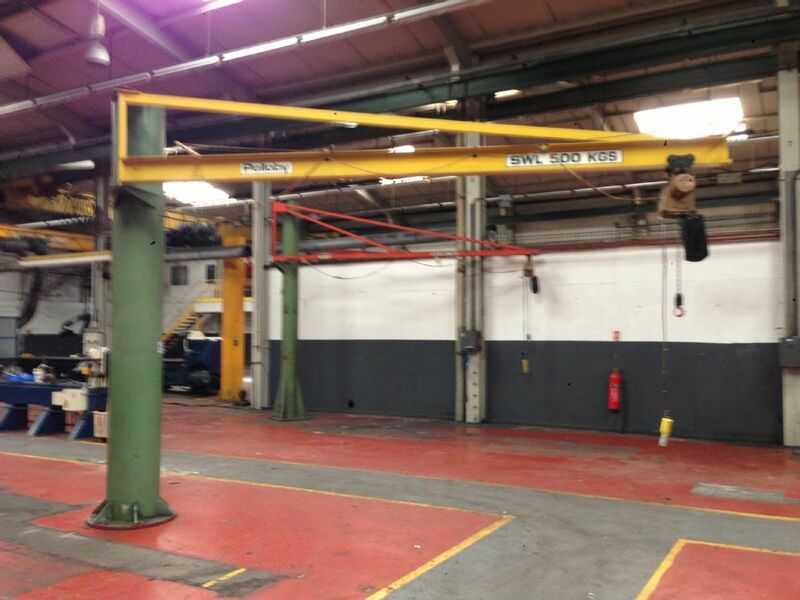 We have vast stocks and can design, fabricate and engineer any type of crane you need ? ?